Founded by Doe Sprogis over 50 years ago, Sprogis and Neale Real Estate has made its home on Tremont Street in Boston's South End since Doe's son Bradford Sprogis was a boy. Today, Brad and John Neale have joined forces, along with a skilled and experienced staff of agents, to continue a tradition of excellence. 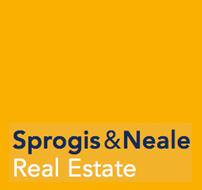 Sprogis and Neale Real Estate is today, as ever, one of the most prestigious Real Estate firms in greater Boston. With vast experience effectively marketing property from single unit condominiums to entire new construction developments and urban rehabilitation projects, Sprogis and Neale is a unique and differentiated Real Estate firm. Providing the personal attention that you deserve with the professionalism and dedication that you should expect from a top notch brokerage, our discerning clientele deals directly with us, just as they have for over 50 years.